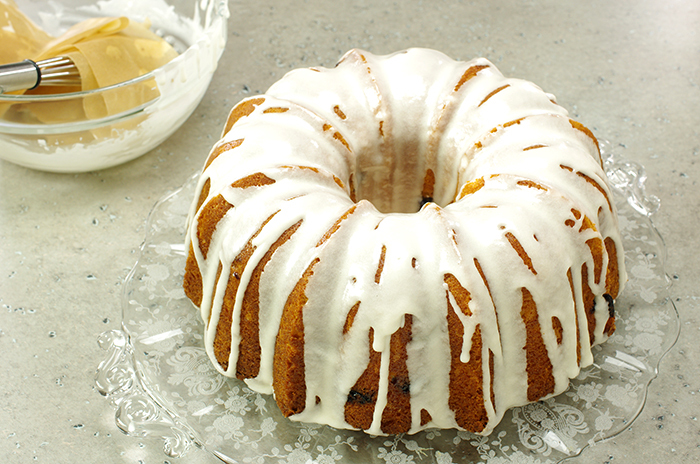 Moist and delicious, this cake gathers its flavors from a generous dose of vanilla and a tangy buttermilk base. 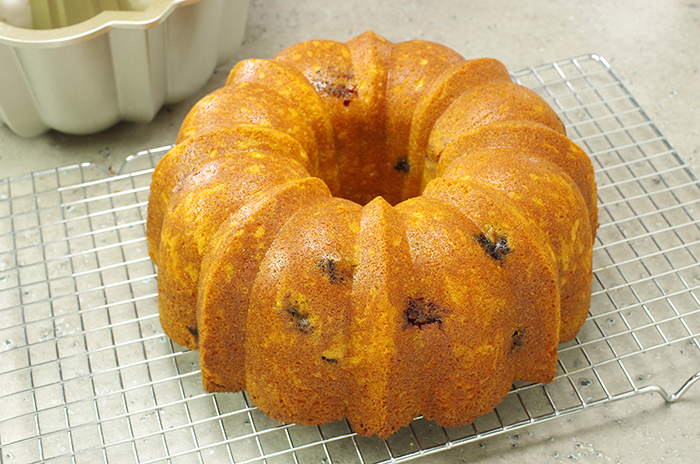 Fresh berries plopped in the batter appear as colorful polka-dots when the cake is sliced. 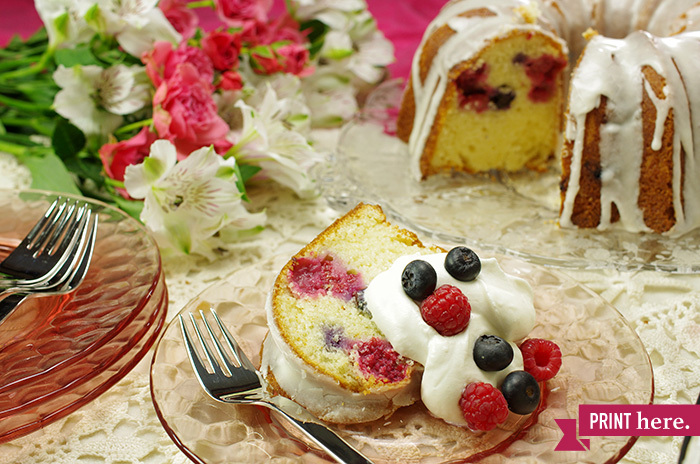 Top each slice with sweetened whipped cream and more fresh berries. (1) PREHEAT the oven to 350°F. 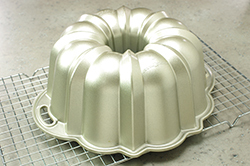 PREPARE a Bundt pan by buttering well and dusting with flour, or by spraying with a flour-infused oil baking spray. 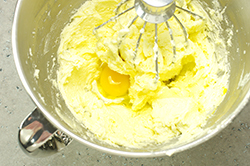 (3) ADD the eggs to the butter-sugar mixture one at a time beating after each addition until incorporated. 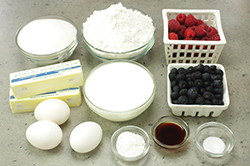 (4) COMBINE in a separate medium bowl, the flour, salt, and baking powder. WHISK until the dry ingredients are evenly distributed. 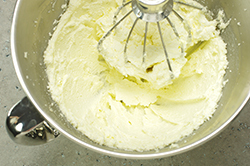 (5) WHISK together in a separate bowl or liquid measuring cup, the buttermilk and the vanilla extract. 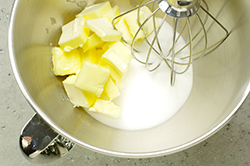 (6) ADD one-third of the flour mixture to the butter-sugar mixture and BEAT on low until combined. POUR in one-third of buttermilk mixture, combine until incorporated. (7) REPEAT with the addition of the second third of the flour, followed by the second third of the liquid. ADD the final third of flour and final third of liquid similarly. 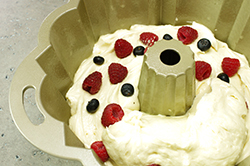 (8) POUR a third of the batter into the prepared Bundt pan, add half the berries. Add the next third, then the other half of the berries. Top with the remaining batter until the batter is approximately one-half inch from the top of the pan. 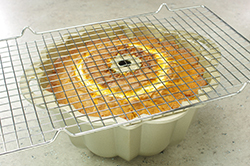 (9) BAKE in the preheated 350°F oven for 50-60 minutes, or until a toothpick or skewer placed in the middle of the cake is removed with out liquid or crumb. Do not overbake. 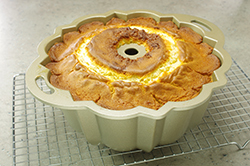 (10) COOL the cake in the pan for 15 minutes, then INVERT onto a cooling rack and continue to cool for an hour. (12) DRIZZLE the glaze over the cooled cake. ALLOW the glaze to set for 30 minutes. (13) STIR the cream, powdered sugar and vanilla together in a small, deep bowl until dissolved. 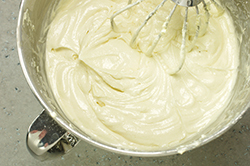 (14) WHIP the cream with a whisk, immersion blender, or hand mixer until soft peaks form. 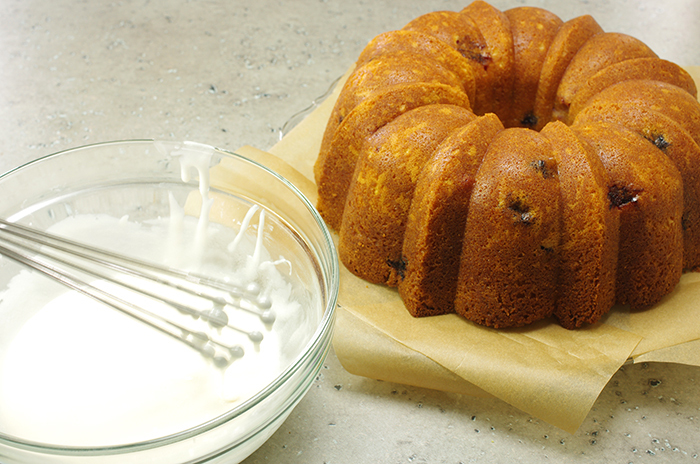 (15) SLICE the cake and top with a generous dollop of the sweetened whipped cream. GARNISH, if desired, with additional fresh berries. Recipe adapted from Nordic Ware, Inc. Used with permission of the publisher. All rights reserved.